We're just 100 days away from the start of the Winter Olympics in PyeongChang, South Korea! 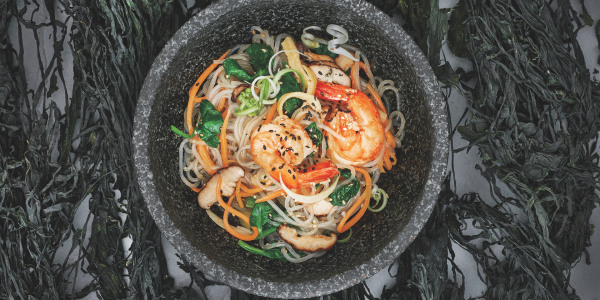 To help kick off the countdown, Judy Joo is sharing five mouthwatering authentic Korean recipes from her cookbook Korean Food Made Simple. 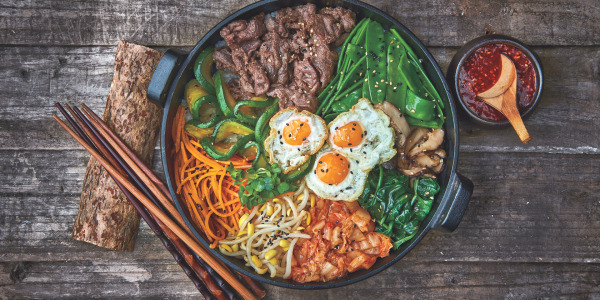 She reveals how to make her veggie-filled bibimbap, Korean barbecued short ribs, homemade kimchi and more. These pancakes are always a crowd-pleaser. 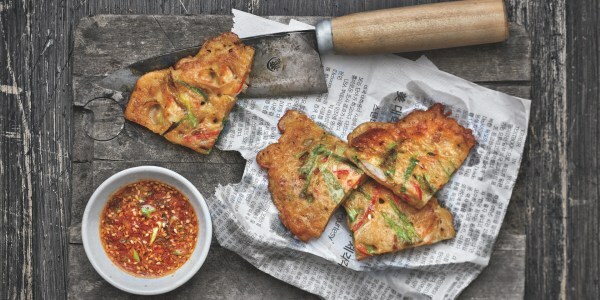 They're chock-full of seafood and the crisp texture is addictive. 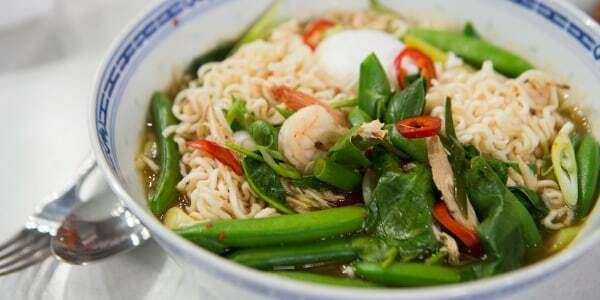 My mom used to make them with squid and shrimp when guests came over. The pancakes are also a great way to use up any leftover vegetables you might have in the fridge. 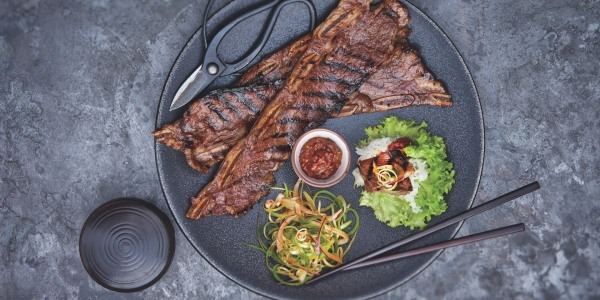 This dish is a classic Korean barbecue recipe. It is such a crowd pleaser! The aroma of sweet smoke alone will make guests' mouths water. There is definitely a reason why Korean barbecue has become such a hit around the world. Bibimbap is one of my favorite dishes because I love eating vegetables. It's also very healthy. I've simplified this version slightly by making one seasoning mix for all of the vegetables. Traditionally, each vegetable would be seasoned individually. It does better keep the integrity of the flavors, but it is tedious. I've compromised by cooking each one separately, but using the same seasoning. It might seem silly, but it makes a big difference in the finished dish. 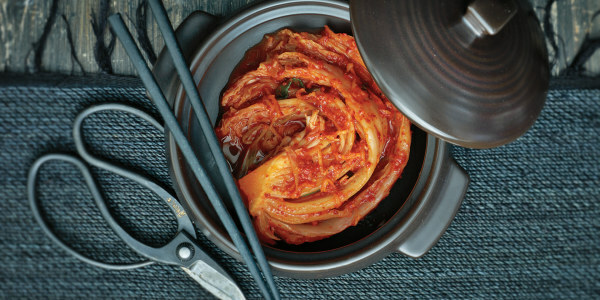 Aside from barbecue, kimchi is probably the dish most synonymous with Korean cuisine. This fiery red, funky, fermented cabbage is on the table every meal — breakfast, lunch, and dinner, 365 days a year. 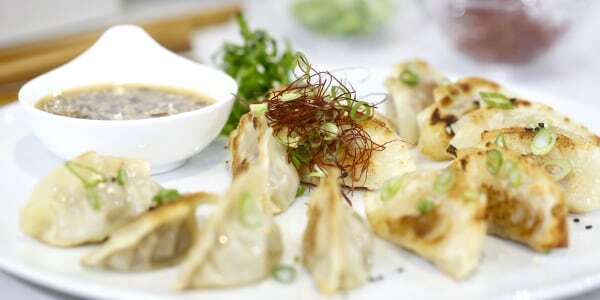 It is one of the cornerstones of Korean cooking, and Koreans consider it vital to their daily diet. Making kimchi may seem daunting, but don't worry, it's really very straightforward. My mom used to make this dish for dinner parties, so it always has a special-occasion feel for me. I love the springiness of Korean sweet potato noodles (which, by the way, are gluten-free), but they sometimes get a little long and/or tangled. If that happens, just cut them with kitchen scissors after cooking and rinsing them.